Another of my favorite things are Rigid Airships - not like the Goodyear Blimp, but the real ones, floating giants the size of an ocean liner. Unfortunately I'm not old enough to have ever seen one, but my Dad did. 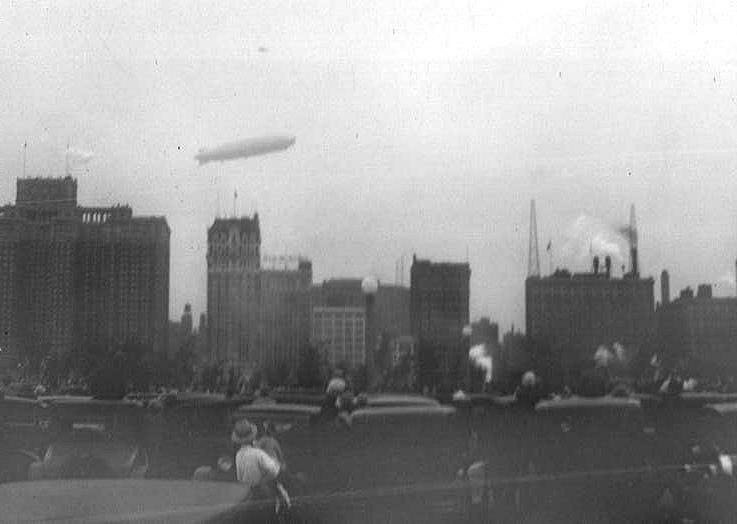 The Graf Zeppelin came to America in 1933 for the World's Fair in Chicago. The Graf Zeppelin was the largest in the world when it was built in the late 1920s. 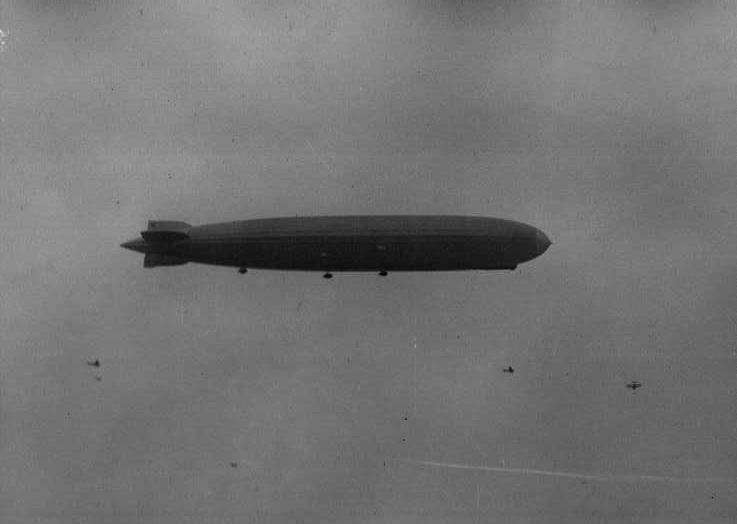 It visited the North Pole, circled the world and ran regular scheduled service from Germany to Brazil until the 1937 Hindenburg crash in New Jersey brought an end to passenger airship service. I found these negatives among some of Dad's papers after he died. The negatives are 2 7/8 by 4 7/8, and were probably produced by a No. 2C Kodak Brownie box camera. Small specks on the negatives that I thought were caused by emulsion flaws or dust on the film, turned out to be biplanes escorting the airship! 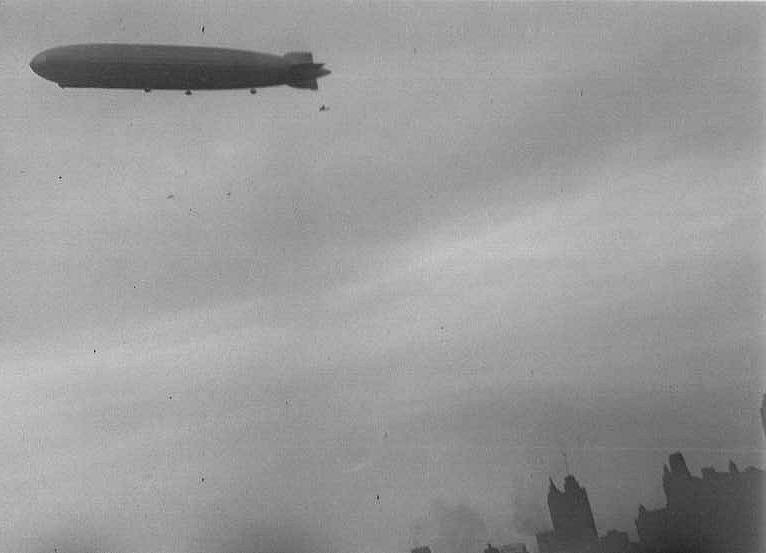 Dad was 19 years old when the Graf Zeppelin visited Chicago.